The Stanley Cup Playoffs keep hockey fans entertained and give us something to talk about for quite some time, but once the final game is played and the Stanley Cup is in the rightful hands of the new winners, there are still things to talk about. Like which celebs are dying to get their hands on it – for the sake of saying they did and of course for posing with it for social media. Because if there’s not a picture, it didn’t happen, right? Take a look at this ESPN article that talks about a few celebrities and their favorite NHL teams. Like Carrie Underwood and her love for the Nashville Predators (and of course her husband, Predators Mike Fisher). We can’t help but love her passion and knowledge for her favorite team, especially when she takes to Twitter to troll Fisher’s teammates. Other celebrity fans of the National Hockey League include Snoop Dogg (Anaheim Ducks), Tim McGraw (Nashville Predators), Wheel of Fortune’s Pat Sajak (Washington Capitals), Kevin Connelly (New York Islanders), MLB’s Prince Fielder (Dallas Stars) and many others. The Stanley Cup is the most celebrated, not to mention the most traveled trophy in all of professional sports. Probably one of the most memorable (and dare we say, most hated) moments of a celeb interacting with the Stanley Cup was back in 2003 when Justin Bieber posed with the Cup, which sent the entire Internet into a tailspin. Bieber has posted and been spotted in L.A. Kings gear many times, yet he seemed to become a huge Chicago Blackhawks fan overnight. Shall we just call him the King of the Bandwagons and leave it there? But the fact remains – Bieber has touched The Stanley Cup and that’s something – no matter which team we root for – we all have a massive desire to do. 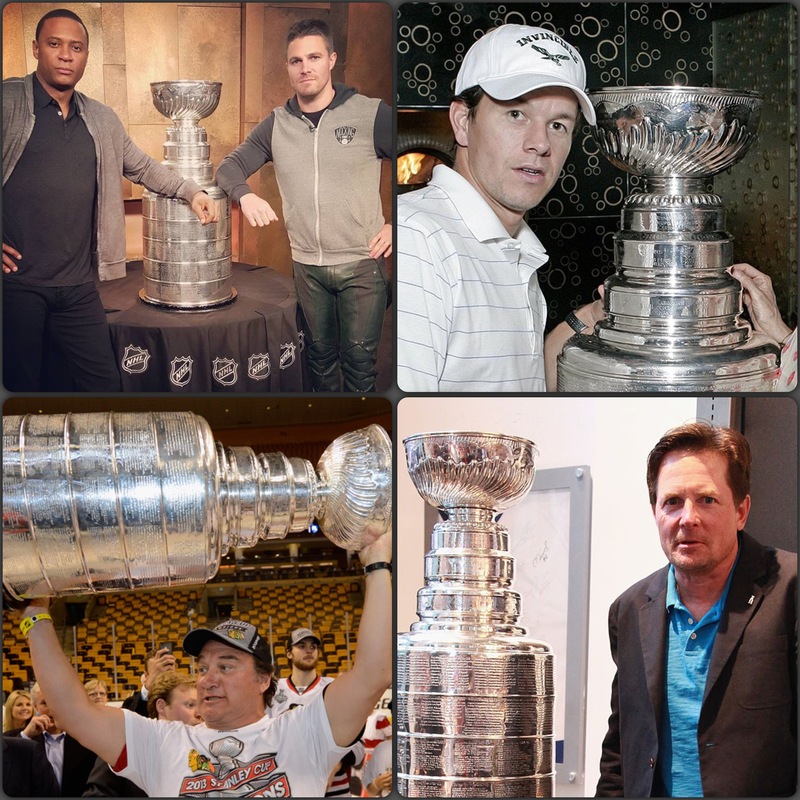 Other notables (in the eyes of pop culture) who have been lucky enough to touch Lord Stanley’s Cup include Lindsay Lohan (2006), Russell Crowe (2006), Harry Connick, Jr. (2010), the cast of CSI Miami (2007), Michael J. Fox (2013), Mike Myers (2013), the cast of Arrow (2016) and many others. We’re pretty confident the popularity and fame of the coveted chalice will never really wear off. Who is your favorite celebrity NHL fan?